March Madness — the best time of year for NCAA fanatics. The single-elimination tournament starts out with Selection Sunday, in which all 68 teams are announced, and ends with the Final Four and Championship. With 67 games in 19 days, madness is definitely the correct word for this tournament. The seedings have officially been announced with Duke University as the number one overall seed in the East, the University of Virginia as the number one overall seed in the South, Gonzaga as the number one seed in the West, and North Carolina in the Midwest. Bracket predictions are also a tradition during March Madness, with prizes as big as one million dollars for a completely correct bracket. Many friends and families participate in this challenge, including junior Andrew Pabst, who’s excited for the biggest tournament of the year to start. Pabst hopes to potentially win money from his bracket and is looking to cheer on several teams. “I am doing brackets to see if I’m lucky enough to get money from it. Also, I’ll probably get some friends to compete with me for a prize at the end. I am confident enough in myself to win in a bracket competition with my friends,” Pabst said. With Zion Williamson leading the charge, many believe Duke University will win it all. “If Zion Williamson is playing, I am predicting Duke to win the NCAA tournament. I am also expecting a loss from one of the number one seeds in the first two rounds,” junior Michael Daratzis said. “Since it’s unlikely that Indiana will make the tournament, I’m planning on rooting for Kentucky. It would also be nice to see a team like Wofford or Buffalo make a run in the tournament. 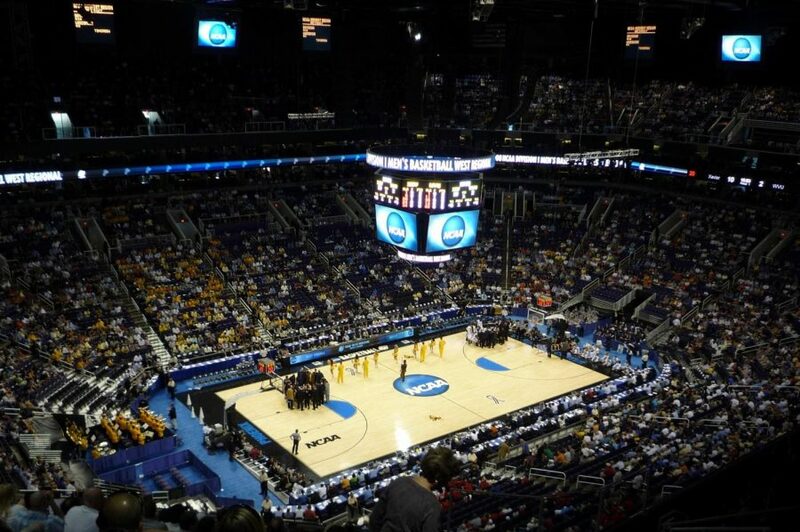 With the upsets and triumphs, March Madness is definitely one of the biggest sporting events of the year. The tournament kicks off on Tues., March 19, with Fairleigh Dickinson University taking on Prairie View at 5:40 P.M.